At 30 years old, Danish singer Lukas Forchhammer is a proud husband, father of one, the successful frontman of Lukas Graham and overall, should be very happy. It’s hard to glean that from most of his songs however, as many of them tend to feature melancholic lyrics, with themes ranging from grief to nostalgia for a time gone by. Arriving in Singapore last Friday after a 16 hour flight, Forchhammer and his band (bassist Magnus Larsson and percussionist Mark Falgren, on the piano) took to a small stage atop M Social Singapore for a private fans showcase organised by Warner Music Singapore. Dressed in a singlet and jeans, Forchhammer addressed his fans directly in the intimate gig, expressing the incredible emotional journey he’s had reaching this point of his career, never having imagined that one day he’d be able to do exactly what he loved for a living. Opening the set with 7 Years, the single off their last album that catapulted the band to international fame in the first place, the soft-spoken Forchhammer was amiable and charming, delving into the lyrical content of 7 Years, speaking about how the mention of the persona’s father reaching 61 was a direct reference to his own father’s death at 60, a means perhaps of extending his life in song. Delving into the concept of manifesting one’s own dreams and making them possible, Forchhammer launched into You’re Not The Only One (The Redemption Song), off 3 (The Purple Album). Describing his whirlwind media tour in Singapore with the band, they declared that vadeh was one of their favourite new foods they’ve discovered during this trip, with Warner Music having fed them extremely well upon a visit to Little India’s Tekka Market. With this, the band started up once again, this time with 2018 release Stick Around. Presented with an award for having Love Someone being one of the fastest singles in recent times to top the charts, the 3 time Grammy-nominated Forchhammer revealed that indeed, all of this, this chance to play a small intimate gig, to go all over the world and simply share his music, and the love he’s felt from his fans and family, that, for now, was more than enough for him, as they played their final song, mega hit Love Someone, to close the night. With an almost theatrical ballad element to each track, the lyrics resonated deep and felt, more than ever, as if they spoke directly to each and every audience member, with power in their specificity and genuine emotion in their delivery. 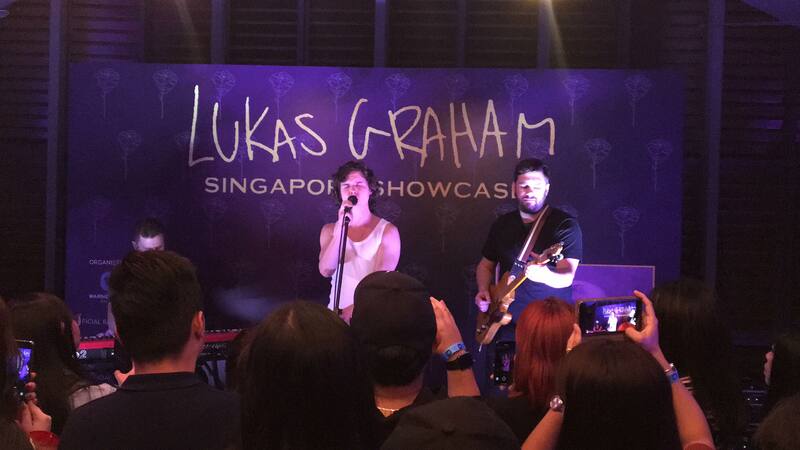 A night filled with plenty of love, reflections and happy fans, one was left with nothing but appreciation for this quality live performance delivered by Lukas Graham in their debut live performance in Singapore, and we can only hope they return sooner, rather than later, to perform a full set here and keep spreading the good feelings and positive spirit to fans all over the world.